Somehow there is a census error in which Richard's children are carried on after another family. Once connected.. Richard's family grows quite a bit. 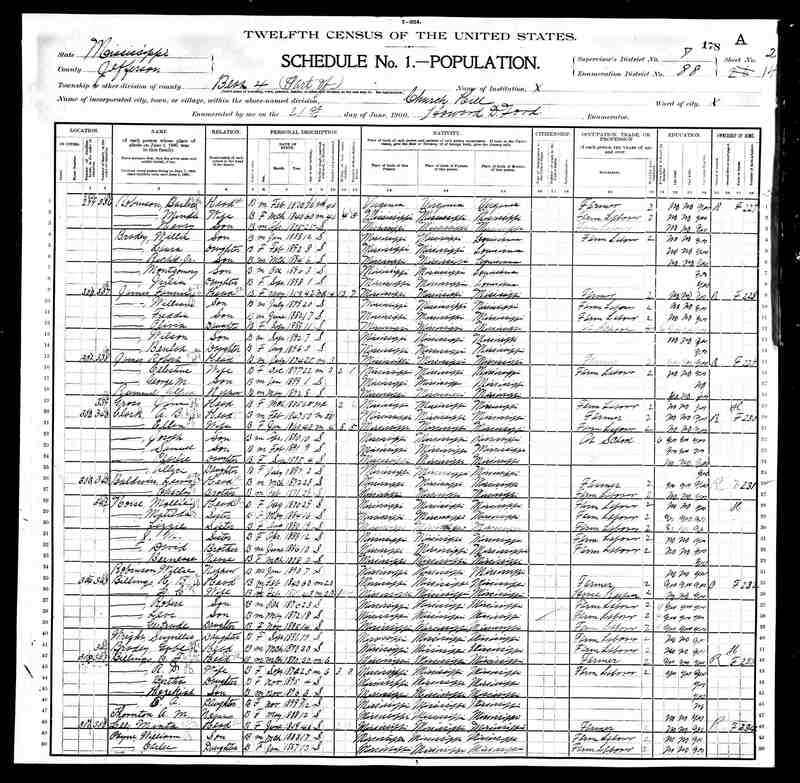 [S-2137538330] 1900 United States Federal Census, Ancestry.com, (Online publication - Provo, UT, USA: The Generations Network, Inc., 2004.Original data - United States of America, Bureau of the Census. Twelfth Census of the United States, 1900. Washington, D.C.: National Archives and Records Administration, 1900. 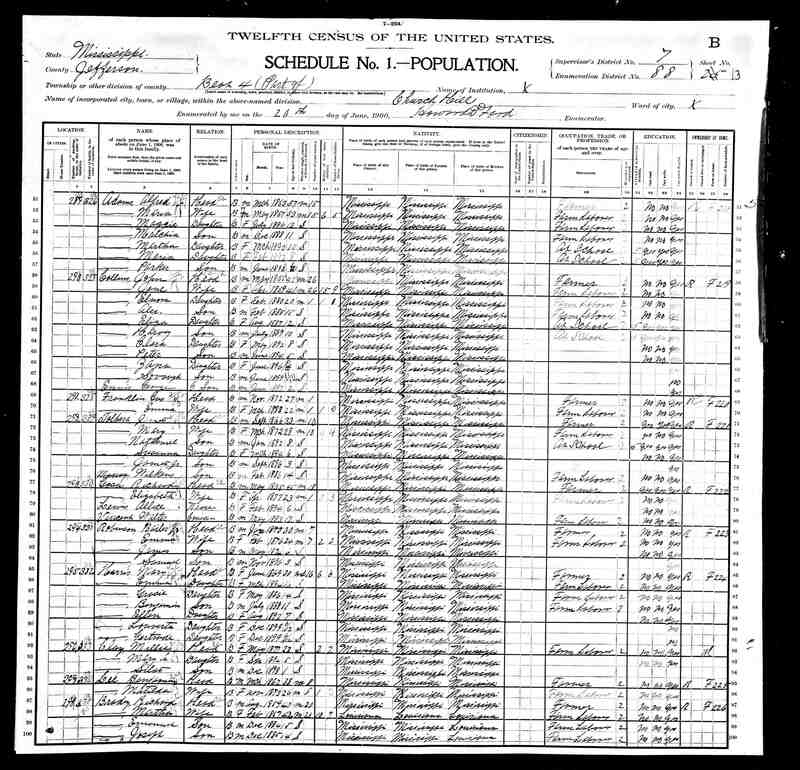 T623, ), Year: 1900; Census Place: Beat 4, Jefferson, Mississippi; Roll: 812; Page: 13B; Enumeration District: 0088; FHL microfilm: 1240812.